Any way you look at it, people killed this whale. 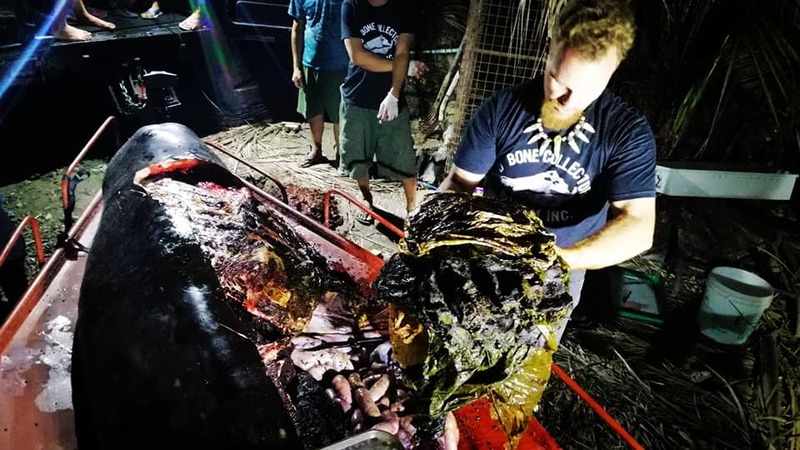 The male Cuvier’s beaked whale ate about 40 kilograms of plastic before it washed up on a Philippine shore over the weekend. 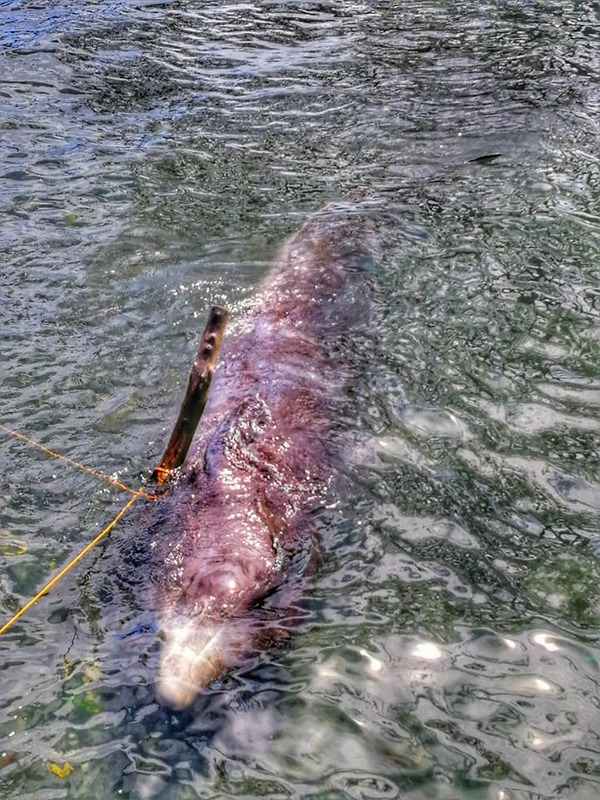 Philippines’ Bureau of Fisheries and Aquatic Resources was notified Saturday about the dead, 4.69-metre whale on the shores of Sitio Asinan in the Mabini Campostela Valley, some 93 kilometres east of Davao City. Among those to head to the scene was the D’Bone Collector Museum, a non-governmental organization dedicated to preservation of dead animals and education. A necropsy was performed and the results were stunning. According to D’Bone Collector Museum, the whale had swallowed 40 kilograms of plastic bags including 16 rice sacks, 4 banana plantation style bags and multiple shopping bags. It was a heartbreaking discovery. D’Bone Collector Museum founder Darrell Blatchley didn’t mince words. “Action must be taken by the government against those who continue to treat the waterways and ocean as dumpsters,” he wrote. There is an estimated 8 million metric tonnes of plastics pumped into the oceans every year, according to Ocean Conservancy. “The clock is ticking; we must confront this challenge before plastics overwhelm the ocean,” according to George Leonard, chief scientist with Ocean Conservancy. 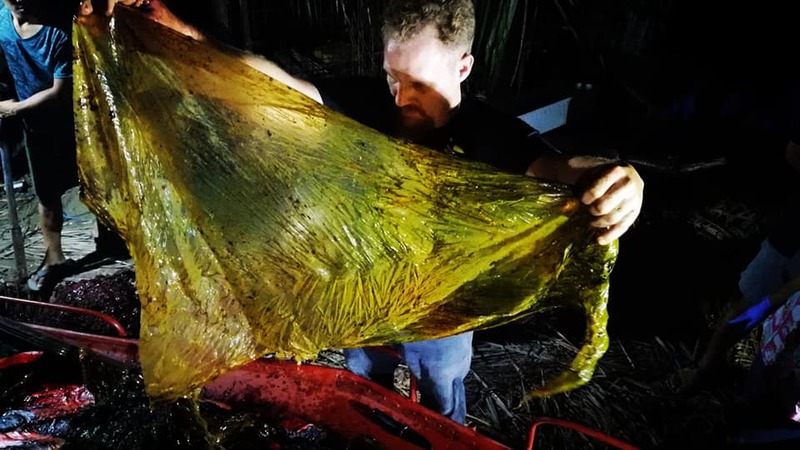 One Comment on "“Disgusting” death for whale that swallowed 40 kilograms of plastic"